In this book, Jericho Brown introduces us to the duplex, a new poetic form he has invented, blending the sonnet, the ghazal, and the blues. These poems ask unflinching questions about fissures in our society, but he never fails to find moments of beauty in unexpected places. I had a sneaking suspicious Jericho Brown is a genius. The Tradition confirmed it. "By some literary magic--no, it's precision, and honesty--Brown manages to bestow upon even the most public of subjects the most intimate and personal stakes." --Craig Morgan Teicher, "I Reject Walls: NPR 2019 Poetry Preview" "A relentless dismantling of identity, a difficult jewel of a poem." --Rita Dove, in her introduction to Jericho Brown's "Dark" (featured in the New York Times Magazine in January 2019) "Winner of a Whiting Award and a Guggenheim Fellowship, Brown's hard-won lyricism finds fire (and idyll) in the intersection of politics and love for queer Black men." --O, The Oprah Magazine Featured in NPR's "I Reject Walls" A 2019 Poetry Preview" Named a Lit Hub "Most Anticipated Book of 2019" One of Buzzfeed's "66 Books Coming in 2019 You'll Want to Keep Your Eyes On" The Rumpus poetry pick for "What to Read When 2019 is Just Around the Corner" One of Book Riot's "50 Must-Read Poetry Collections of 2019" Jericho Brown's daring new book The Tradition details the normalization of evil and its history at the intersection of the past and the personal. Brown's poetic concerns are both broad and intimate, and at their very core a distillation of the incredibly human: What is safety? Who is this nation? Where does freedom truly lie? Brown makes mythical pastorals to question the terrors to which we've become accustomed, and to celebrate how we survive. Poems of fatherhood, legacy, blackness, queerness, worship, and trauma are propelled into stunning clarity by Brown's mastery, and his invention of the duplex--a combination of the sonnet, the ghazal, and the blues--is testament to his formal skill. The Tradition is a cutting and necessary collection, relentless in its quest for survival while reveling in a celebration of contradiction. 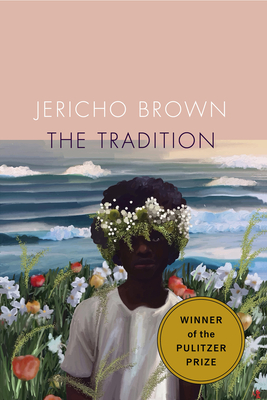 Jericho Brown worked as the speechwriter for the Mayor of New Orleans before earning his PhD in Creative Writing and Literature from the University of Houston. The recipient of the Whiting Writers Award and fellowships from the National Endowment for the Arts, the Radcliffe Institute at Harvard University, the Bread Loaf Writers' Conference, and the Krakow Poetry Seminar in Poland. His first book, PLEASE (New Issues), won the American Book Award. His second book, The New Testament, won won the Anisfield-Wolf Book Award and was named one of the best of the year by Library Journal, Coldfront, and the Academy of American Poets; the collection was also nominated for the NAACP award for poetry and made The Believer's top 5 Books of the Year. Brown is the director of the Creative Writing Program at Emory University and lives in Atlanta, Georgia.